"It all started when we met Paolo Forza, the Scm area manager, at the “Legno&Edilizia” Verona trade fair in 2015. He invited us to see and test the Oikos at the Routech factory in Sinalunga. We had actually been studying this machine for some time as our competitors had already bought it and were extremely satisfied with the results." "We make high quality products, so the standard of the machining and finishing is essential. This meant we had to select a form of technology that would guarantee a superior level of performance. 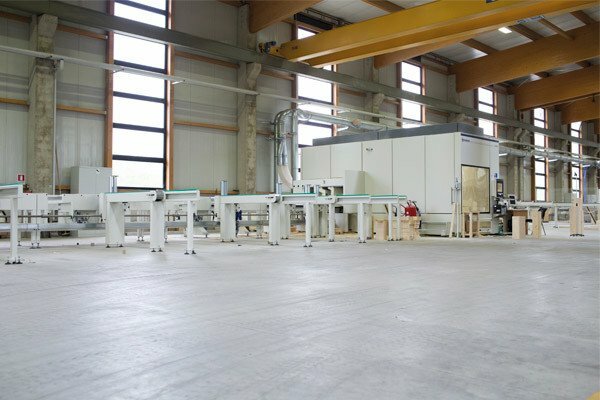 The highly skilled engineers from our technical office identified a series of customized technical features, which Routech gave us immediate assistance on and that led to the manufacture of a version of the Oikos machining centre with six interpolating axes satisfying all our needs perfectly." What benefits has the Oikos brought to your company? Claudio Leoni “Without doubt, the real turning point this machining centre has brought aboutis that now we can make our own 1.250 mm X-Lam walls. At Vibrobloc we have always used two techniques to build our houses: the frame technique and the X-Lam wall technique. We used to buy X-Lam walls ready-cut, but now, with Oikos, we buy the raw material in blocks and cut it ourselves. This allows us to operate with greater independence, speed and flexibility, as we keep enough material in our warehouse to ensure that we can be flexible, especially in terms of response time. 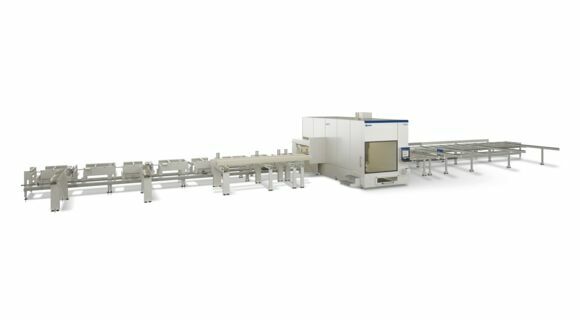 “One of the Oikos features we have been particularly impressed by is its fast and high precision processing," continued Claudio Leoni. "In addition to timber construction, our reference market includes exposed beam floors and roofs, where a high finish quality of the beams is fundamental. Vibrobloc originally started out in the traditional building sector and today it boasts two factories, plus third premises specialised in metal carpentry. The technical office also engineers the necessary assembly components, like plates and brackets. “Keeping Vibrobloc in Montese was a deliberate decision - concluded Leoni - to guarantee the continuity of human resources, which is the company's founding value, as it allows us to guarantee skilled labour and a strong team spirit. A context with this level of professional expertise is the ideal workplace for a Routech Oikos machining centre.